Her power: No superpowers, but a brilliant scientist. 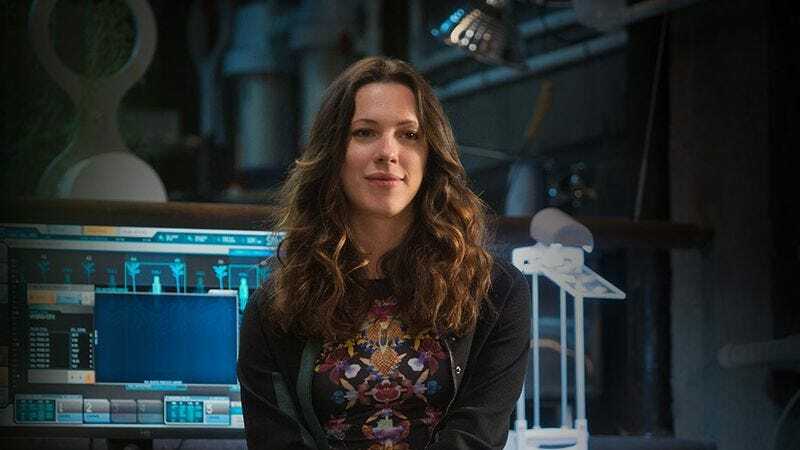 Her story: Maya Hansen appears in Iron Man 3, where she first turns up in the prologue, meeting Tony Stark more than a decade earlier and showing him her research into genetic codes and biology, to which Stark responds by providing her with a formula—specifically to help stabilize her plants so they can regrow foliage without exploding. (A plant that Happy pulls a leaf off of doesn’t take it so well, see.) She then turns up just prior to The Mandarin’s attack on Tony’s home, claiming she works for Aldrich Killian and is worried about his collaborating with the terrorist. However, after accompanying Pepper Potts to safety, it’s revealed Hansen is still working with Killian. They inject Potts with the Extremis formula in hopes of forcing Stark to work with them, but when Killian begins to make threats, Hansen demands he back off—even holding a needle to her own throat, believing Killian needed her alive to continue work on Extremis. But Killian refuses to be blackmailed, and instead shoots her dead. Whoops. Currently, Maya Hansen is: R.I.P. Where will we see her next? Sayonara, Maya.